Last week was my last weigh in while in “the boot”. I was up 1lb. That was ok with me though I’d had a bold weekend with too many treats and takeaways and some wine too!! This week I went to class while at home in Donegal on our family holiday and was delighted to be down 1/2 pound! Considering I’d had a small 99 icecream just an hour before going to class I was delighted!! It’s great to be at this stage of my “foot journey” and while I’m still tender and sore and have a lot of physio work ahead the consultant has discharge me he is very happy with my recovery! Last week I did a date night dinner for myself and himself. After standing taking the skin off chicken wings for nearly an hour – my god what a chore!!! 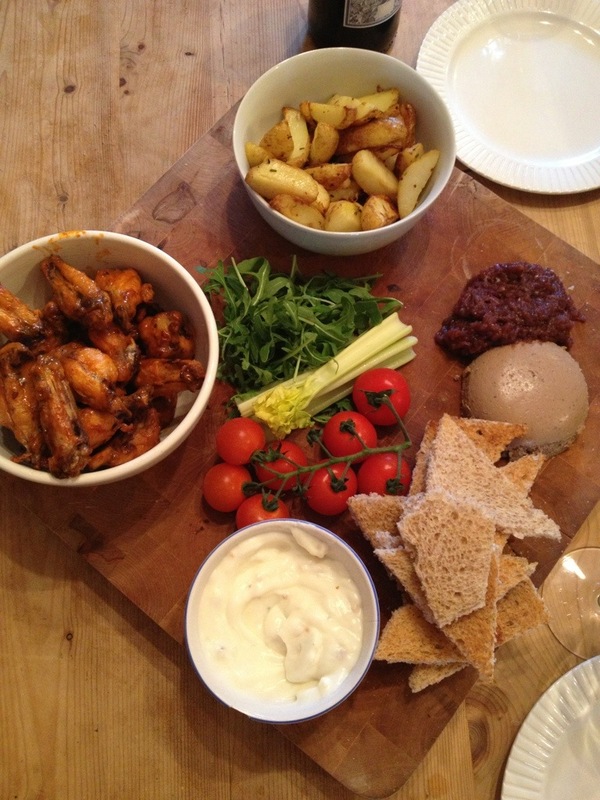 I discovered later that it is possible to buy skinless wings in tesco so I will be looking them out because as tedious as the job was – it was totally worth it they were delish!! I hate when I get wings and the skin is in anyway soggy or not totally dried up anyway!! I used Franks Hot Sauce after cooking them in the actifryer and they were spicy and crisp and best of all – syn free!! I also made the chicken liver parfait from the new Slimming World book for entertaining and it is fabulous!! I halved the recipe and left out the brandy and it was so, so good!! 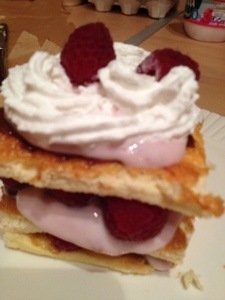 I served it with whole meal Melba toasts I made myself but it would be equally good on cracker breads. I made the red onion marmalade to go with it and wasn’t sure at the end to keep the onions or the liquid…so I blended them together and it became a delicious relish!! The fries were inspired by the lovely rosemary fries at GBK restaurants- again using actifryer, spray oil, fresh rosemary and sea salt – very more ish! The garlic dip is fat free natural yoghurt with garlic – simple and yum!! Served with some fresh vine cherry tomatoes and some rocket – a syn free feast that was impressive and delicious and worth the effort. I forgot to update last week, I was up 1.5lbs, I’m surprised it wasn’t worse after a celebratory week of cakes, and more cakes! Junior 2 was the big 1 year old last week and we had 2 parties! The first, a cupcake class for 4 of Junior 1’s friends and cake of course (will blog about the cakes again), then a family gathering on saturday with more goodies and more cake of course!! 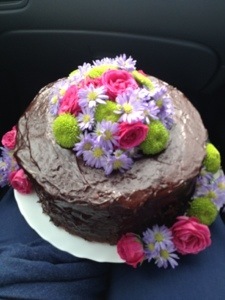 And THEN a party for a friend this weekend with you guessed it, more cake. I love cake. 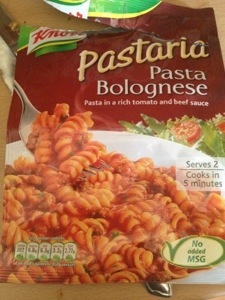 Today, feeling slightly delicate after seeing a band last night and having a cider or two too many, I wasn’t feeling like cooking so I decided to try this packet of Knorr Pastaria Pasta Bolognese. At 4.5 syns for the entire package, which is supposed to serve 2 (I ate it all) it is worth every syn and really tasty. I’m not a fan of the “mugshot” thingies, I think they taste fake and bland but I have to say – this is lovely and I will get a couple to have in the press for emergencies. 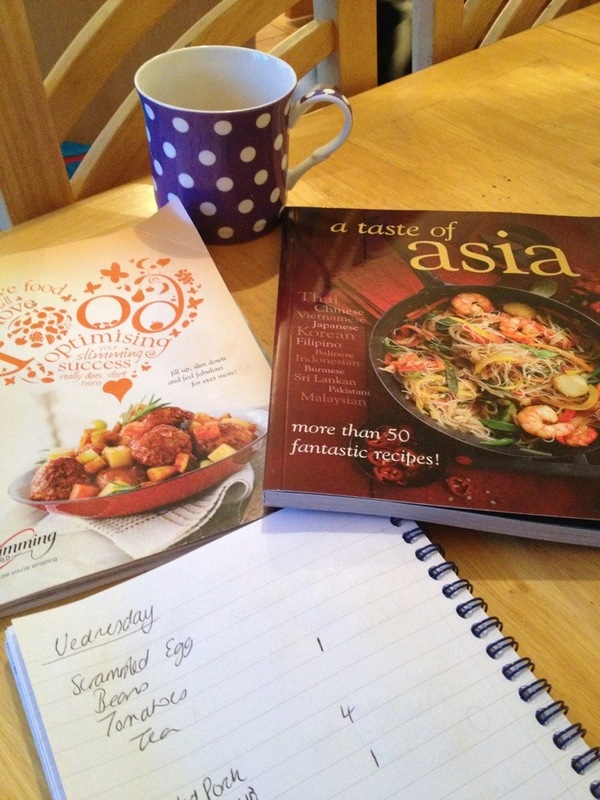 Last week, I had my first adventure with Quorn Mince. I’ve never even tasted it, never mind cooking with it before! I can report that my first foray was sucessful, I made a rich red wine sauce, with onion, pepper, a grated carrot, onion, rosemary, thyme, 2 glasses of red wine, well reduced and some passatta. I added the quorn, simmered for 10 mins and stirred it into spaghetti and topped with parmesan. Hubbie ate every scrap and was astonished when I told him what he had eaten – he didn’t notice it wasn’t mince! I will absolutely use this again to try and have a few more “meat free” dinners during the week. 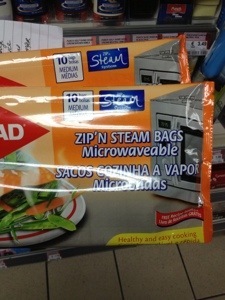 A little while ago, I blogged a review of Glad Ziplock Steam Bags. I have been using them very regularly, my favourite use being corn on the cob, with a little butter, chilli and oregano in the bag with the corn – delish! 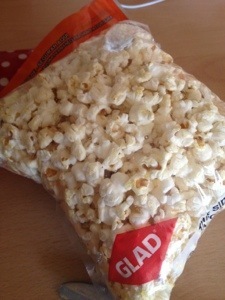 However, on a rainy day recently, a movie was called for and Junior 1 asked (demanded) popcorn! I read somewhere that you can pop kernals in a brown paper bag, I had no brown paper bag, but I did have a stash of the Steam Bags so we had an experiment. Junior thought it was hilarious watching the corn popping and it turned out to work very well, I put in a tablespoon of butter (naughty) and added salt after (even bolder). Delish and the perfect amount for us to share too! This week – a gain, of 1lb, I was dissappointed but also realistic, in truth i hadn’t been trying all that hard and I did have too many Captain Morgan Spiced Rum possibly followed by a burger and chips on the way home. 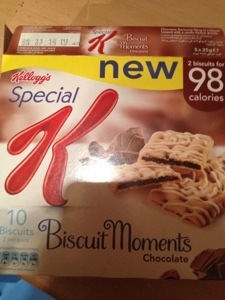 I deserved to be up a pound, next week il be down!!! In my usual fashion however, I got on a sulk and stormed home annoyed with myself and craving boldness. I nearly agreed to getting a takeaway delivered!!!! 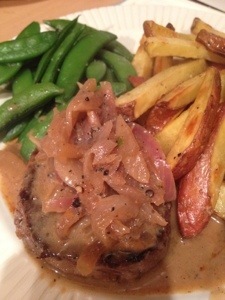 However, I calmed myself down, remembered I had defrosted some fillet steaks and I got to preparing our dinner. I google some recipes and came up with the following recipe for Pepper Cream Sauce, it is absolutely gorgeous. So nice that I made double and had leftovers with grilled chicken last night!!! It was even spicier after a day in the fridge though so be careful! After a Hen Weekend and taking a few days off to recover, I couldn’t face the class knowing I would be up, not a terribly healthy attitude, I know, but I was feeling low anyway and being up would have finished me off! So Wednesday last week should have been weigh in day, I had one last off day and gave myself a talking to and for back on track on Thursday. It paid off because I was down 1/2 pound yesterday!! Not much, but enough to be in the right direction and re-focus me. I stayed to class and left feeling motivated again. 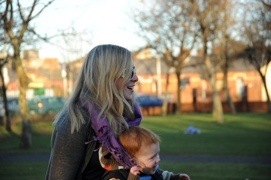 I’m off now to visit a friend with a new baby boy, can’t wait for a newborn cuddle! I’ve made a batch of Scones and will be treating myself to one or two!! 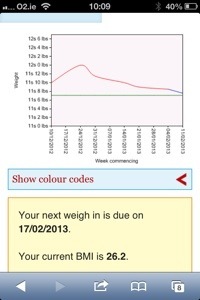 I’ve just realised I forgot to write up last week’s weight in! I was 1.5lbs down 🙂 bringing the loss this year (as in, since January 1st) to 4lbs, therefore ridding the Christmas indulgence weight gain! Today, I knew it was going to be bad, I had a horrendous week last week, very bad news, a very difficult funeral and then after funeral, on the same day, a christening with lunch out, and too much wine! On Sunday we had a family meal out as my brother moved to Scotland on Monday! I didn’t even try to be good I have to admit and so I was up 1lbs today, really I deserved more! I saw these today in the supermarket And bought a pack to try – I think they will be super handy for salmon, vegetables, etc. I may even start freezing vegetables chopped In portions in them to just throw into the microwave for a quick side dish…or baby potatoes with herbs…..endless possibilities!